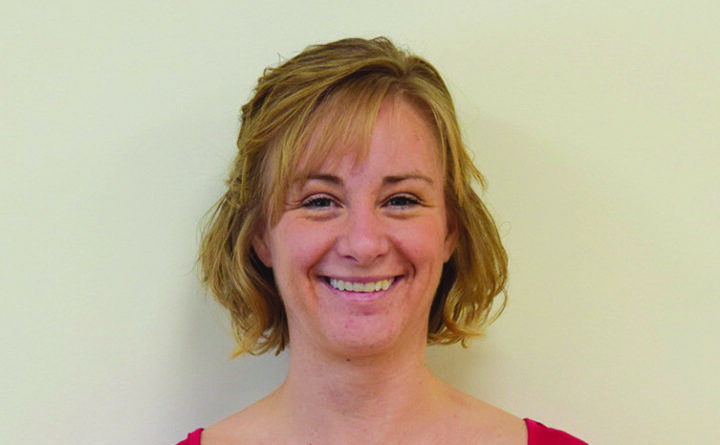 Fort Kent — Robin Damboise, Northern Maine Medical Center’s (NMMC) director of Human Resources, announced the Melissa Cyr received the nomination NMMC’s Employee of the Quarter. Melissa Cyr, a licensed social worker and discharge planner, was selected by her peers for the outstanding commitment she demonstrates in assisting patients she works with each day. Candidates who are nominated for the Employee of the Quarter award must meet rigorous performance requirements in order to be considered by the selection committee. Cyr was first employed at NMMC as a certified nursing assistant while in high school. After high school, she attended the University of Maine at Fort Kent and earned a degree in Behavioral Science in 2004. She returned to NMMC as a social worker in 2014. Cyr and her family are often participate in community and school events as well as NMMC sponsored events. Cyr resides in Fort Kent with her husband, Chad, and three children – Keegan age 14, Emma age 11 and Austin age 6. She enjoys spending time with family at the lake in the summer and downhill skiing in the winter. The honoree will receive a monetary gift from NMMC and the Medical Staff for her performance excellence and her photo will be displayed on a plaque in a public place of recognition within the organization.